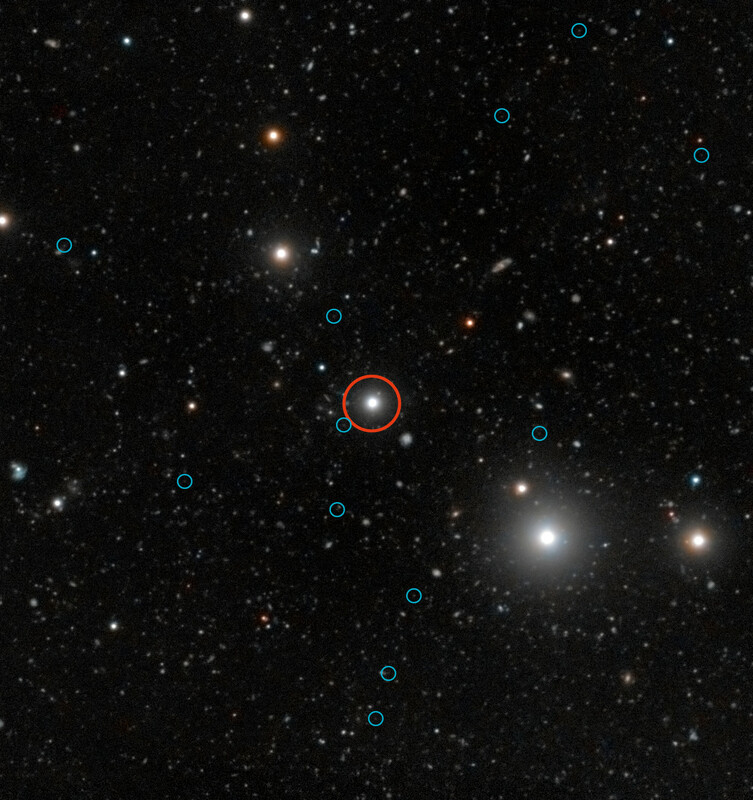 Using the European Space Observatory’s Very Large Telescope, an international team of scientists believe that they have detected dark galaxies by observing their glow as they are illuminated by the ultraviolet light from a nearby and very bright quasar. PDF copy of the research paper,”Detection of dark galaxies and circum-galactic filaments fluorescently illuminated by a quasar at z=2.4,” by Cantalupo et al. to appear in Monthly Notices of the Royal Astronomical Society. Be the first to comment on "Scientists Detect Dark Galaxies for the First Time"